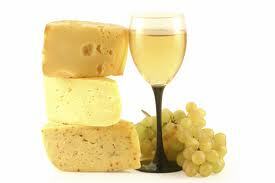 You are formally invited to join the CCA for their third thriving Wine & Cheese Night! Back by popular demand, bring your swagger, your knowledge of wine (or lack thereof) to the Crestmont Community Hall on Friday, June 7th from 8-10:30pm. Join our knowledgeable hosts for some exceptional flavors from around the world, accompanied by some great cheeses to compliment any palate. Not only is this a great evening to try some new varietals of wine, but it is also a wonderful opportunity to meet your community neighbors and your CCA Board Of Directors. Register Now for this exciting event. Admission is free for CCA Members, non-members $5. Cash toonie bar. Respectively, no minors will be given access. This entry was posted in Events and tagged Crestmont Community, social, wine & cheese on May 17, 2013 by aduro. The momentum is building! In 2012 the Crestmont Community Association hosted a well-attended adult mixer in June and a fabulous Halloween party for the kids in October. We would like to keep the community spirit alive & kick off 2013 in style! Bring a friend or neighbor and join your fellow Crestmont community members, share a glass of wine, and test your knowledge with some fun wine trivia. Come on out, be part of the energy and find out what is happening in your community. Don’t be shy – this is definitely an event not to be missed! This entry was posted in Events and tagged community, fun, Neighbours, social, wine & cheese on January 22, 2013 by aduro.